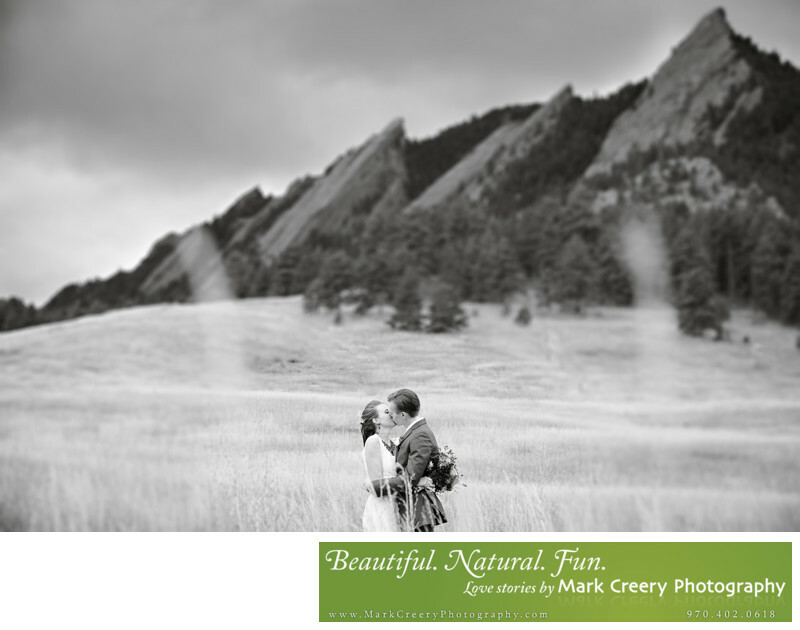 Chautauqua Park in Boulder, Colorado is a perfect place to capture amazing weddings photos that show off what Colorado has to offer. In this photo taken in the Fall of 2014, Taylor and Sam were able to show their love for each other and the outdoors. It was a cool day, and the brooding clouds added another dimension to the photos we took in the park. Location: Chautauqua Park, Boulder Colorado.